Once you decide to play poker for real – and by that we mean, of course, play poker for real money – you will find that the main issue will be to make your first deposit. But which deposit methods are available in which poker rooms? Are your preferred deposit methods available at your preferred poker room or will you have to think of an alternative? 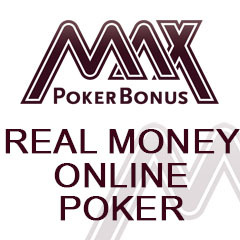 Most online poker rooms do offer common deposit methods. But there are nonetheless some surprises and some disappointments when looking at poker room deposit options. However a lot of times you will find that many poker rooms have websites that are not really too easy to navigate when it comes to info on their deposit options. In order to give you a quick and easy overview over the various poker room deposit options, we have listed an array of deposit methods for all our poker rooms. Here you can see which poker room accepts which deposit methods and check whether your preferred deposit method is an option for any of the poker rooms you are interested in without having to navigate through all the websites. Part of the fun of playing poker is beating other players. And in order to show who is the best, we have chips on the table. And what is more fun than knowing you are better than the rest and at the same being able to cash out these chips that you just took? That’s the thrill of playing poker for money. However, we also have to keep in mind that when playing online poker, withdrawal methods are important to keep an eye on before playing for money. You wouldn’t want to sit on a nice pile of virtual money if the poker room you played on lacks the withdrawal options of your choice. In order to make it easier for you to have a quick overview of the various withdrawal options used by online poker rooms, we have put together this table. Here you can see the withdrawal methods available for each poker room and decide accordingly. You can also learn more about each of these withdrawal options by clicking on them.